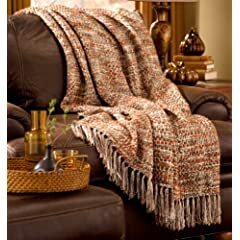 Selection of the best chenille throws for sofas which are a superb home accent piece, particularly on a sofa. Chenille itself, is a fabric commonly used in products such as blankets, rugs, throw pillows, bedspreads and sofa covers. The reason people love chenille is that it is an extremely soft fabric that is extremely warm and fluffy. 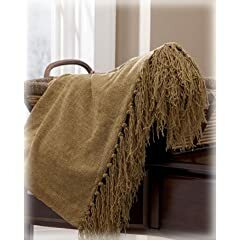 The design frequently has a rural or country style look to it and anyone would appreciate receiving a chenille throw as a gift. Soft and comfy Chenille sofa throws for your home which adds to the decor of your living room. You can expect guests to your home to notice and comment on these attractive accent pieces. 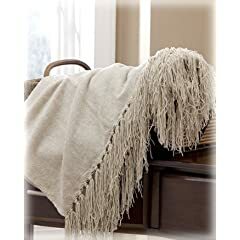 Or when the weather is a little cooler just curl up on the sofa with a tea and good book with this soft throw over you.With these beautiful and large chenille for sofas you can add a clean and classic, all-American feel to your room. 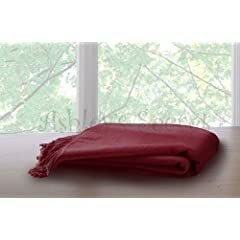 They are available is several colors to match your home decor and will enhance the look of any sofa. 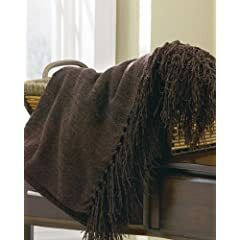 So add some additional charm to any room with these chenille throws. Chenille is a an extremely soft fabric that frequently has a rural or country style look to it. The term “Chenille” is French for caterpillar and describes the method in which the fabric is made which can be from cotton, rayon, acrylic and other fibers. The basic fabric called chenille was first produced in the 18th century and in the 1920s and 30s embroidered hand-tufted bedspreads made of chenille came from a small town in northern Georgia helping it gain in popularity. Many chenille items feature a casual country look. Known as a “rag quilt” it features exposed and frayed seams as several layers of soft cotton have been sewn together with wide and raw edges to the front, then cut to create the worn and soft chenille effect creating the country look. These are also often used in country Inns or Bed and Breakfasts. When purchasing any chenille product be sure to check out that the size and color match so you get the product that fits perfectly. I hope you love the soft feel and warm of these chenille products.